Cover art by Barry Windsor-Smith. 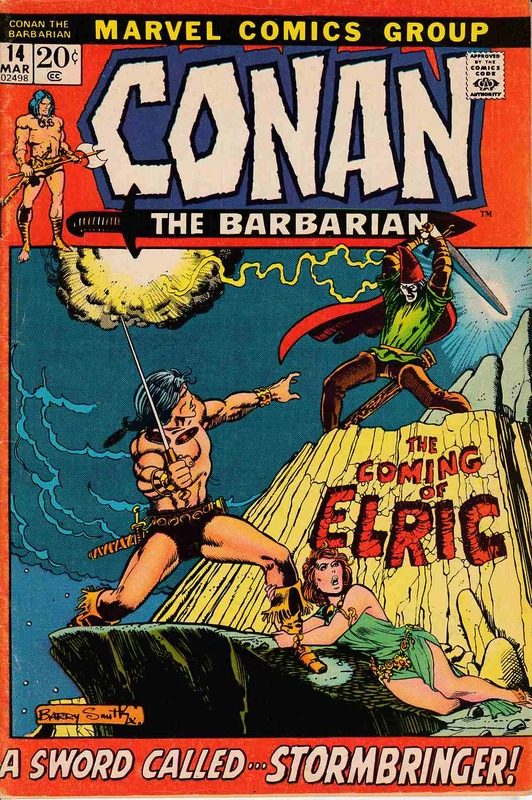 First comic book appearance of Elric of Melnibone in A Sword Called Stormbringer, plot by Michael Moorcock and James Cawthorn, script by Roy Thomas, pencils by Barry Windsor-Smith, inks by Sal Buscema. Koth grasslands; Conan saves Zephra's life, fights against and later with Elric; Conan fights to save Hyborea and Melnibone from Queen Xiombarg.